These days, there’s no material too obscure or barely faded from recent memory to be deemed unworthy of a remake/reboot. There’s also no property with disparate (or boring) enough characters to avoid being tied together in some kind of “cinematic universe.” With that spirit in mind, Universal has remembered its proposed reboot of Anne Rice’s The Vampire Chronicles, a book series that also warrant its own universe, apparently. 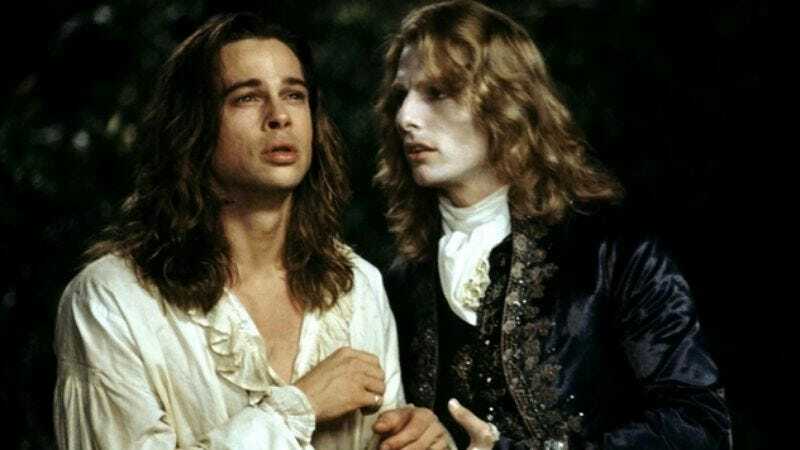 The studio is looking to retell the adventures of Lestat, Louis, Marius, and Akasha with some help from Brian Grazer, Alex Kurtzman and Roberto Orci. Josh Boone’s (The Fault In Our Stars) involvement was reported then refuted back in 2014, but it looks like he or Universal has come around. Boone, who’s helming The New Mutants and therefore should know a thing or two about working within an extensive, well-known network of characters and storylines, posted a picture of the title page for his Interview With The Vampire remake (or reboot, whatever) script, which he’s working on with Jill Killington. No cast members have been announced yet, but since Tom Cruise is part of that other Universal cinematic universe—which, incidentally just nabbed Russell Crowe—the production team can get his thoughts on bringing Brad Pitt back to the franchise.